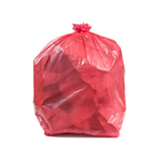 Have you experienced frustration trying to fit your 64 Gallon Toter® Trash Cart? Finding the right bag can be confusing. 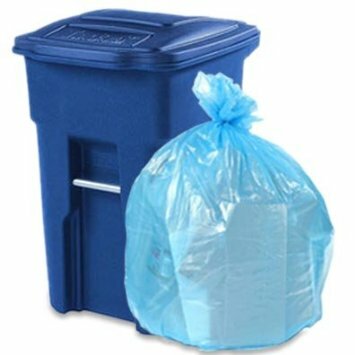 Standard 65 gallon bags are 50” x 48”, which means they’re too short to properly fit the 64 Gallon Toter® Wheeled Trash Cart. That means the bag is forever falling down. It doesn’t have to be that way! 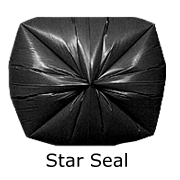 These 65 gallon black garbage bags are made a whole foot longer, at 50” x 60” giving you lots of extra height to work with! Made in the USA from low-density plastic of the highest quality, they are 1.2 mil thick, and finished with a gusset seal. They are puncture resistant, flexible, and strong enough for outside use. 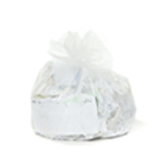 Conveniently packed on 20 rolls (5 bags per roll).Thanks to our 64 gallon Toter trash bags, your liners will finally fit your waste can like a glove. Standard versions for this size can measure 50” x 48”, which is why they are forever falling down. 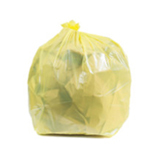 But our 64 gallon trash bags are made a whole foot longer, at 50” x 60”, providing ample length to fold over, so you can keep the liner in place. 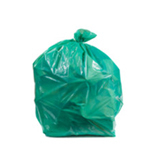 Puncture-resistant and flexible, our 64 gallon bags are strong enough for outside use. 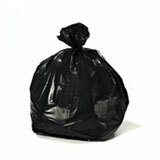 Best fit for 64 Gallon Toter Compatible Trash Bags! 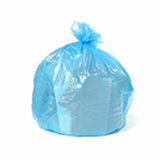 Star Sealed Trash Bags are created without gussets and sealed in a single spot making them virtually leak-proof. 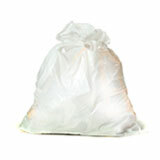 They can hold very heavy or wet trash and easily conform to any size trash can with ease. Also known as an "X-seal," a star seal is the most commonly found seal today. After reading some poor reviews on Amazon for some OTHER brand trash bags, I decided to purchase these. 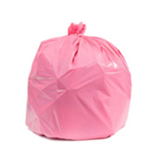 These trash bags fit our trash cans perfectly! Great quality too. 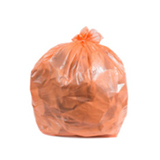 What a life saver these bags are. Can’t find them anywhere around here. Thanks so much. Hi, The bags are fine. The bags are fine. However, I didn't get the requested twist ties with this order or anything saying they were not available with this order. Thanks for taking the time to review us! We're happy to hear you enjoy our product. The warehouse packs the twist ties in the box with the bags, and sometimes they can be hard to find. Don't worry, I'm going to have some twist ties sent out to you today!